Babyology is always at the big events that matter to kids and Sunday was no exception. 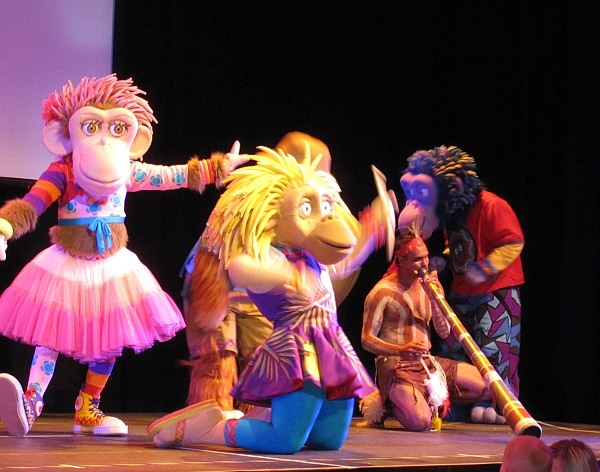 I took my two daughters to Sydney Opera House to find out about CBeebies newest production for littlies – ZingZillas. I have to report they didn’t disappoint, it was a full on concert with singing and dancing plus a special guest. 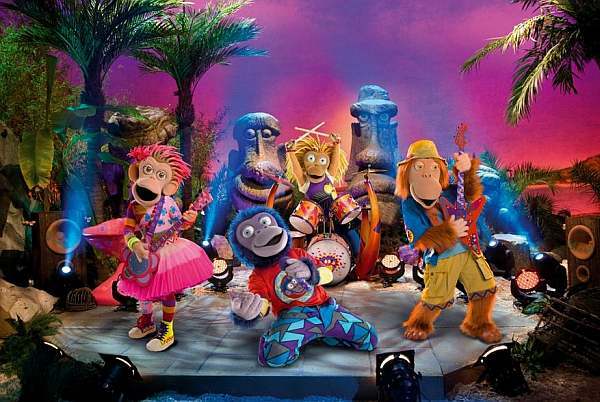 The concept is great – a group of primates living on a desert island where they create music with the help of various characters they meet in each episode. All different genres of music are included from rock to soul, samba to orchestra, and the show includes work from musical luminaries like cellist Julian Lloyd Webber and jazz vocalist Cleo Laine. We were treated to a guest appearance by the brilliant Aboriginal artist Dhinawan. He gave a lesson on how to play the didgeridoo and then performed with the ZingZillas “Do you Didgeridoo”, the song he makes with them in the new series. My girls love the ZingZilla characters and can name them all (Zak, Tang, Pansee and Drum). I must say they don’t appeal to me so much, they’re a bit unreal looking, but then I’m not under six! 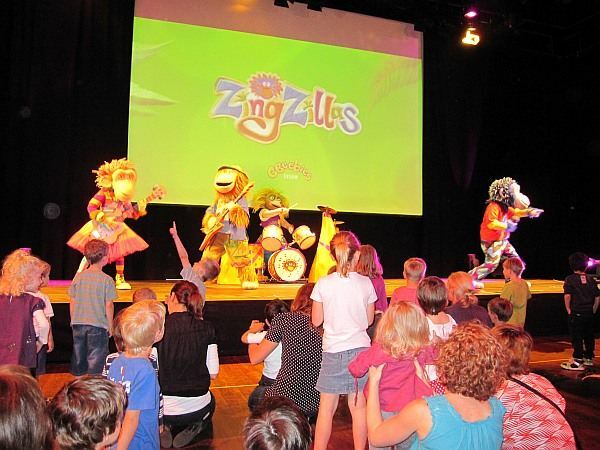 I do think it’s a great idea though – ZingZillas engages kids in different kinds of music and gets them interested in how to work with other people to be creative. My five-year-old desperately wants to learn the trumpet now! ZingZillas launches today (8 November) on the CBeebies channel on pay TV network Foxtel at 4.30pm – check out the theme song below and see what you think.